As the rest of the tech industry has focused on robotic cars and other contraptions that can navigate roads and warehouse floors, Boston Dynamics, which is owned by the Japanese conglomerate SoftBank, has plugged away at machines that can walk through the woods, into a rock quarry, across your home. "These robots can climb stairs," said Sangbae Kim, a professor of mechanical engineering at the Massachusetts Institute of Technology who is working on similar machines. "They can jump on a table." But if driverless cars are still years away from everyday use, walking robots are even further. Though these machines are shockingly lifelike, they have limits. They can handle some tasks on their own, like spotting a curb and climbing over it. But when moving across unfamiliar spaces, like the parking lot outside the Boston Dynamics lab, the y still need a human guide. In person, they stumble and fall more often than they do on YouTube. Walking through the Boston Dynamics lab, Mr. Raibert, 68, wore bluejeans and a Hawaiian shirt, as he does nearly every day. He wants to build robots that can do what humans and animals can do. That was his aim in the early 1980s, when he founded the Leg Lab at Carnegie Mellon University in Pittsburgh. And it was his aim when he moved the lab to M.I.T. In 2013, Google acquired Boston Dynamics during a broad push toward driverless cars and other robotics. But just four years later, Google, known for its "moonshot" bets on long-term tech projects, sold Boston Dynamics to SoftBank. Mr. Raibert declined to say how much Google or SoftBank had paid for the company. He said both owners had provided ample funding for its research, and their involvement shows the potential of his w ork. 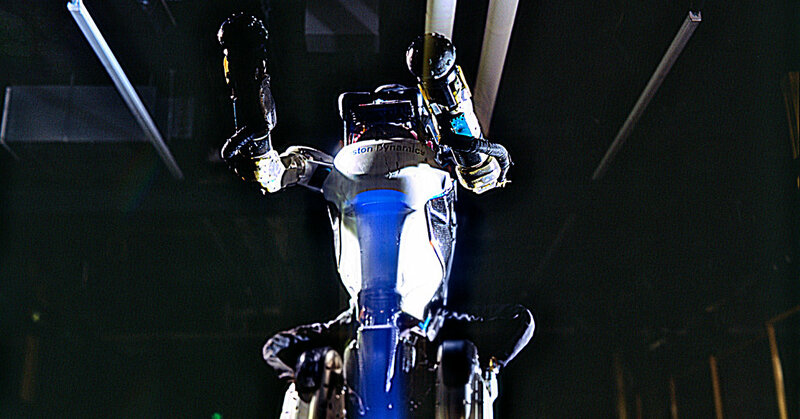 No machine comes closer to his vision than Atlas, a 165-pound anthropomorphic robot that can run, jump and even do back flips. Mr. Raibert would not let us shoot video of Atlas or other robots while inside the lab. But he did give a brief demonstration of the machine.